Designed to be simple to use and easy to maintain, the RA1x2’s dual relay outputs activate when an alarm is detected. If the monitored dry contact changes state, the alarm LED illuminates and the audible alarm sounds. Note: The RA1x2 requires an isolated 24 volt power supply. 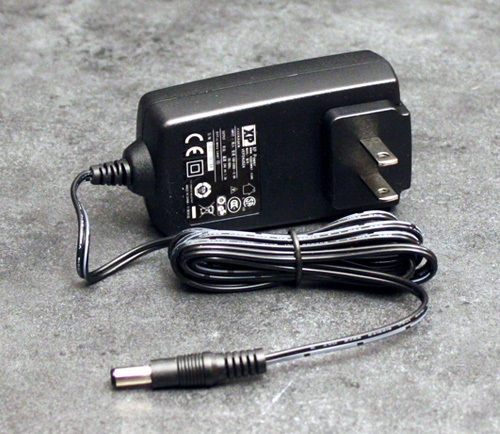 RLE recommends and stocks PSWA-DC-24, a 24VDC supply that plugs directly into a wall outlet. This supply is available for purchase separately. The audible alarm on the RA1x2 is configurable. Want to hear the alarm every time? Open the enclosure and look at JMP1, located on the top left corner of the board. Make sure the jumper spans (connects) the bottom two pins of JMP1. This engages the audible alarm. If you move the jumper to span the bottom two pins and engage the audible alarm, the alarm will beep to indicate the change has been activated. Prefer not to have an audible alarm? Align the jumper so it spans the top two pins of JMP1. This will disengage the audible alarm. 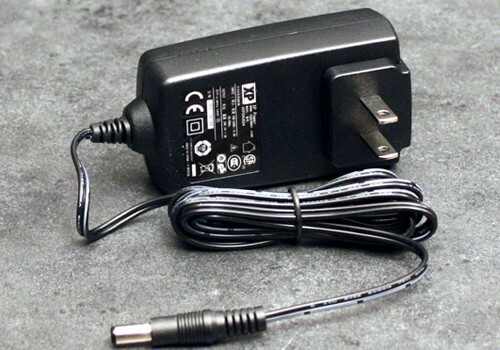 The RA1x2 requires an isolated 24 volt power supply. RLE recommends and stocks PSWA-DC-24, a 24VDC supply that plugs directly into a wall outlet. This supply is available for purchase separately. Power is supplied to the RA1x2 through a terminal block connection. If you have a PSWA-DC-24, it may have a barrel connector on the end of the connecting wires. Simply clip the barrel connector off and strip the end of the wires to connect the power supply to the RA1x2.